Many of our friends are looking for ways to make their homes more eco-friendly. Let's take a look at 10 popular home-efficiency tips that may work on your budget. These home-improvement options include a number of projects, that could mean energy and cost savings for you and your family. 1. Know your Home weakpoints: Have a home energy audit. A professional energy audit, if it's in your budget, can include higher-tech assessments such as thermal imaging and precise airflow measurement. These tools refine the audit, helping the inspector pinpoint exactly where your home's energy weak spots are and how much they're costing you in terms of heating and cooling bills. 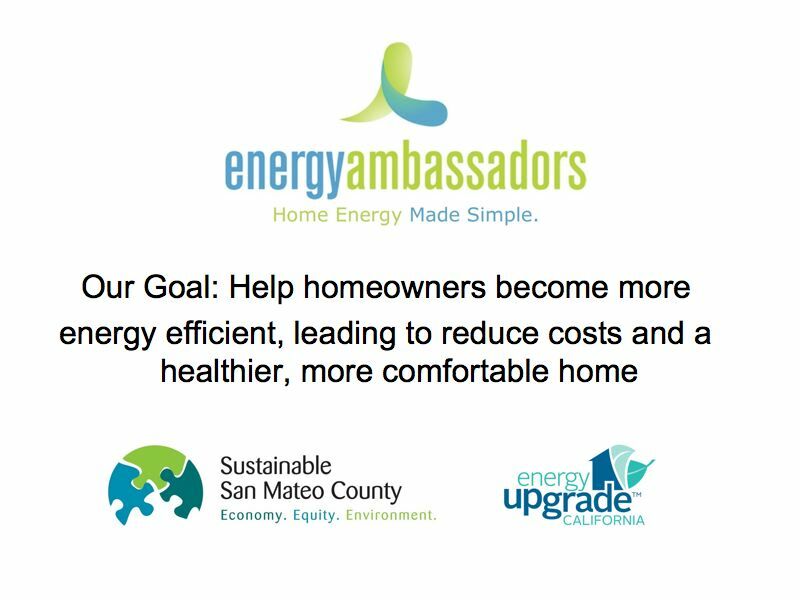 There are county that offers free Energy Audit like San Mateo and Sta Clara County. Check your Bay Area counties for energy audit. Its a great first step, that helps you develop a game plan pf projects that can cut energy bills and keep those hard earned savings into something you are planning for, say vacation! 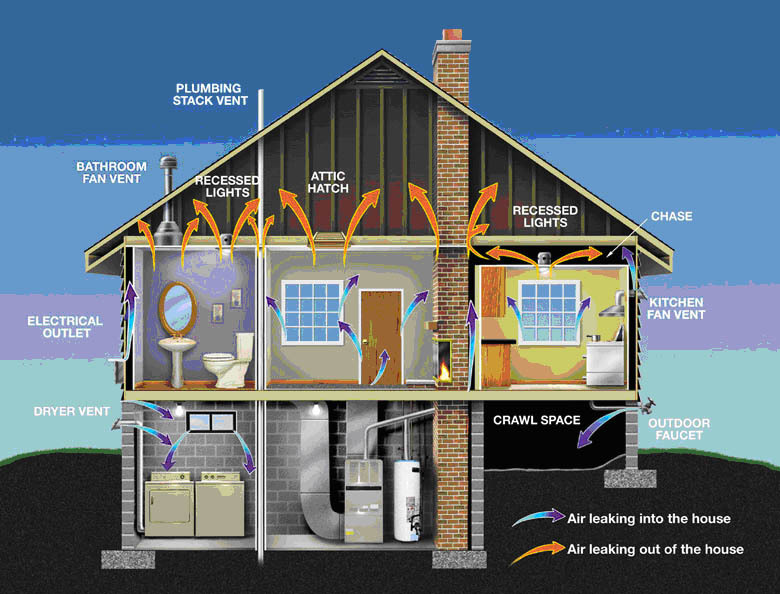 Warm or cool air leaking into or out of your house is not the only airflow problem that can cost energy. Air creeping in from a cool room, such as your basement, or from a warm area to a cooler one, can cause additional problems. Interior doors, improperly sealed ductwork and even small gaps around switches and electrical outlets can lead to energy-consuming air leaks [source: Energy Star]. Be sure to check these areas as well. 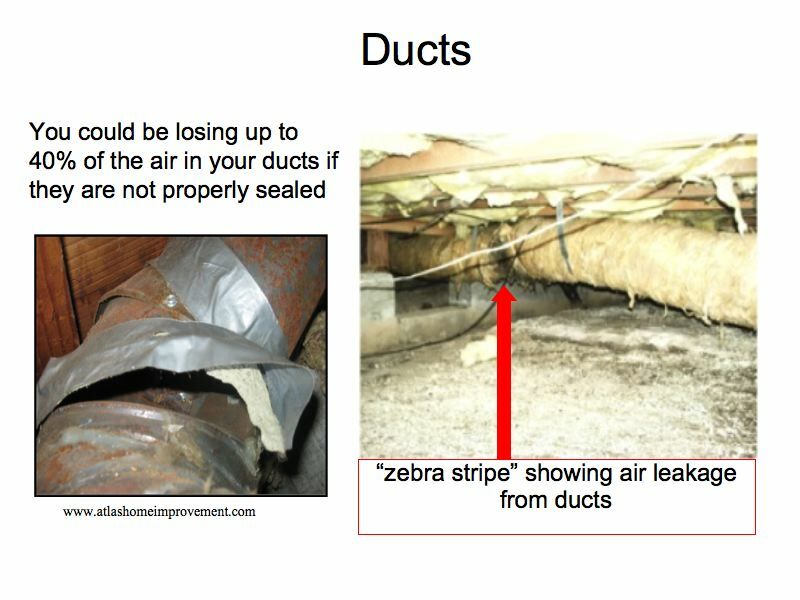 Repairing these air leaks requires a variety of techniques and tools. 3. Windows Upgrade: Watch The windows. Energy-efficient windows typically use a number of features to separate the climate-controlled air in your home from outside air. Your budget may allow you to install multipane windows, in which the space between panes is filled with an insulating gas, such as argon [source: Efficient Windows Collaborative]. The glass on these efficient windows is often tinted or treated with a glazing material that reduces the solar energy allowed into the home [source: Efficient Windows Collaborative]. This not only reduces glare, but also improves the windows' Solar Heat Gain Coefficient (SHGC), a measure of how the windows prevent sunlight from raising the home's indoor temperature. As with U-factor, a lower SHGC value identifies a more efficient window. Reflective insulation can help control how the heat from the sun affects your home's temperature. The sun's effect on your home's energy usage doesn't stop at the windows. If you live in a home that heats up too much in the warm, sunny months, reflective insulation may be a cost-saving upgrade to put high on your to-do list. Reflective insulation is designed to control solar radiation, the sun's heat-producing energy, which passes through your roof and walls to heat the air inside your home. 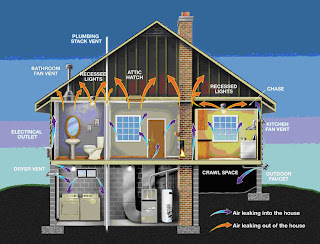 Some types of reflective insulation can prevent wayward airflow inside, while others simply bounce the solar energy away from the interior (hence the "reflective" label) [source: U.S. Department of Energy]. Reflective insulation is often a thinner material than the thermal insulation used to keep heat from escaping from the home. 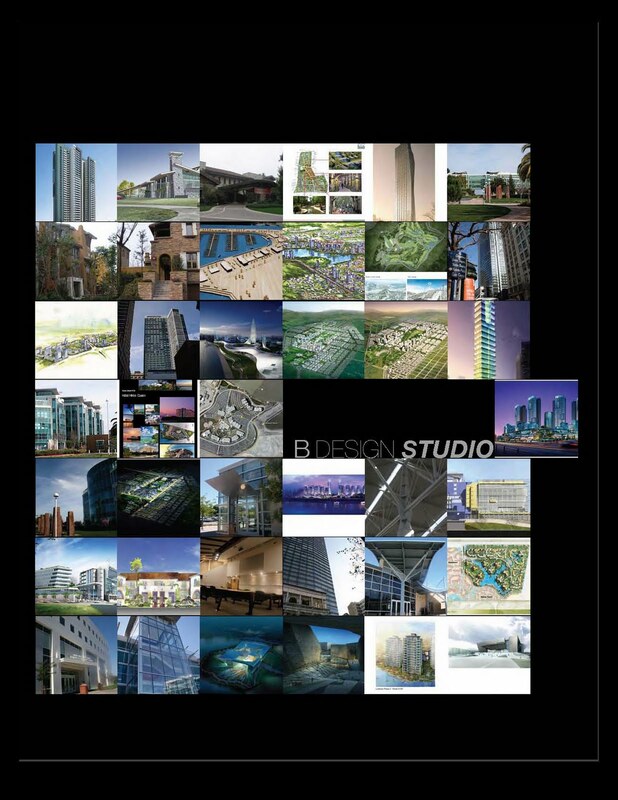 It usually consists of a reflective material, such as aluminum, bonded to thin wood or another type of backing. 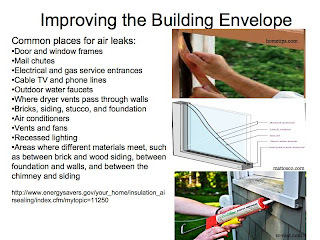 It's typically used along with thermal insulation as part of a comprehensive project: Combining this type of insulation with the options described in the following section can provide year-round protection from the outside temperature [source: U.S. Department of Energy]. Batting, blown fill and rigid sheets of insulation provide energy-conscious homeowners with a number of benefits. 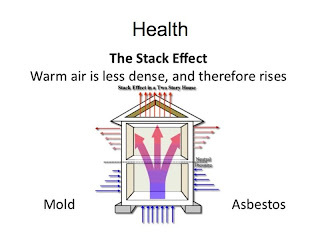 These materials prevent the heat transfer that can occur through building materials such as wood, drywall and masonry. 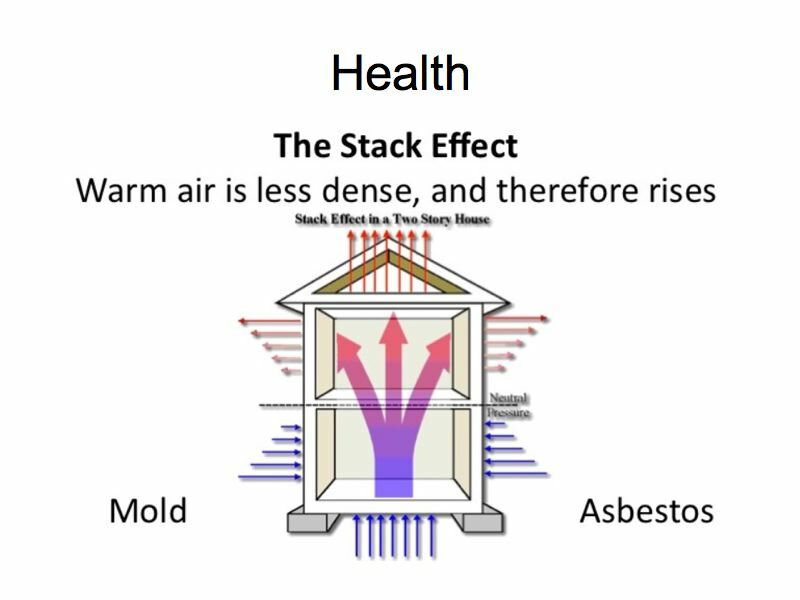 They can be installed to act as air dams, preventing airflow inside walls and energy-stealing drafts in attics and crawlspaces. 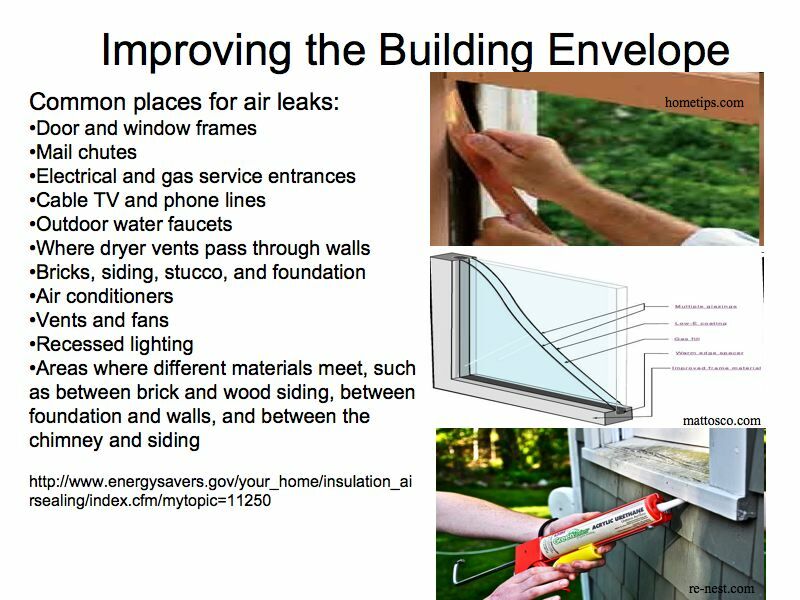 And they provide some of the easiest DIY projects for improving the eco-friendliness of your home [source: U.S. Department of Energy]. 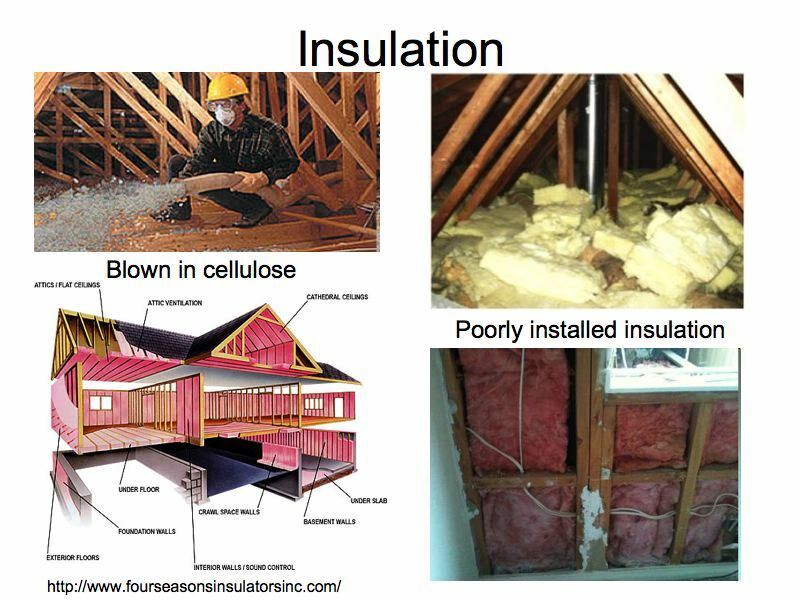 Installing insulation can be as simple as unrolling fiberglass batting between rafters in your attic or studs in an unfinished garage wall. Covering blown fill with sheets of lighter insulation can be an effective way to insulate an overhead crawlspace. The use of a reflective barrier as an outer envelope against the inside of a wall or roof adds to the insulation's effectiveness without adding significant time and cost to the installation. 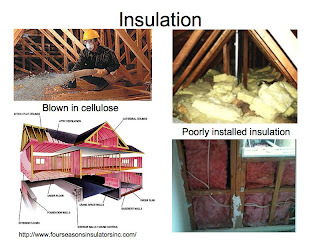 More complex installations, like blowing cellulose fill into the space between studs of a finished wall, takes more specialized equipment, and may be best left to contractors [source: U.S. Department of Energy]. Home's yard. Fossil fuel powers lawn mowers and string trimmers, creating harmful emissions. Fertilizers used to grow lush green lawns and bountiful gardens leach into groundwater, creating a pollution problem that can affect drinking water quality. And poorly managed rain runoff can lead to sewer overflows and flooding [sources: U.S. Environmental Protection Agency]. One of the easiest and most cost-effective ways to grow an eco-friendly lawn is to use native plants as ground cover, rather than bagged grass seed. I always tell friends that Auntie Celia loves to plant tomatoes and herbs; Mrs. Obama did her garden at the whitehouse which I personally think its cool to set a good example of greening your backyard and fun too! I always advise my clients to landscape alley ways and walkways. Its a great way to introduce fruit and flowering trees while providing needed shade. It also prevents run-off. Uncontrolled rain runoff can cause serious problems for your community's environment. Impervious surfaces such as roofs, streets and driveways don't allow soil to absorb rainwater. Instead, the water gets channeled through often-aging sewers and culverts, then dumps into local waterways that evolved to accommodate much lower amounts of water during rain. As a result, erosion from excess runoff damages local streams and rivers, and low-lying communities become more prone to flooding. As a homeowner, you can make a big difference in your community's runoff problem. Pervious pavement allows rainwater to soak through to the underlying soil. The soil then releases the water into local streams at a measured rate, filtering it and preventing the floods that develop when too much water hits the stream at once. Some pervious pavement materials can be poured like concrete, while others are modular bricks or tiles that you can arrange into attractive patterns. The type of material you choose depends on the amount and type of use the surface will see, as well as your taste and budget. A tiled patio may be a weekend project within your reach, while replacing your asphalt driveway with a pervious one may be best left to a professional contractor. Either way, you'll finish the project with the satisfaction of knowing you've put the soil under your property to a very important public use. While it may be more expensive, a tankless water heater is the most efficient water-heating option available. Our estimates including PG&E suggest that heating water accounts for roughly a third of a home's energy consumption [source: Consumer Reports]. Whether you're building a new house or trying to make your current home more eco-friendly, improving your water heater's efficiency can be an effective investment. Understand one thing, though: This type of home improvement can be an expensive undertaking. Tankless water heaters, which heat water as needed rather than storing it in an insulated chamber, are some of the most efficient heaters available. However, they can cost two to five times as much as a traditional tank water heater, and installing one in an existing house can require costly upgrades [source: Tennessee Valley Authority]. Still, if you want a very efficient water heater and can afford it, a tankless water heater is a good option. For homeowners on a tighter budget, there are other ways to save on water-heating energy costs. For starters, make sure your water heater is the right size for your home. While a too-small heater may not meet your needs, an oversized water heater will waste energy. Check the heater's First Hour Rating (FHR), a measure of its ability to produce water during high-demand situations, to get a sense of how well it meets your needs [source: Consumer Reports]. Another measure to consider is the heater's Energy Factor (EF). This standard measurement can give you a sense of how efficient one heater is when compared to another. The higher the EF, the more efficient the heater [source:Consumer Reports]. Imagine having a personal assistant who made sure you had hot water just in time for your morning shower, warmed or cooled your house to the perfect temperature at the end of every day and monitored the cost of energy to make sure you only ran your power-gobbling appliances when gas and electricity were at their cheapest, non-peak rates. Thanks to a new generation of "smart" thermostats, this level of control is increasingly available to tech-savvy homeowners. Thermostats have become much more than temperature-activated switches for heating and cooling systems. Many models can now monitor factors such as the energy use of individual appliances, the cost of energy at a given time of day and the functionality of appliances. Some of the more advanced models are able to contact you via e-mail if something goes wrong with an appliance, and they can be adjusted from your office computer or mobile device. These thermostats can run appliances when it's least expensive to do so. And when no one's home, they can easily turn off energy-hungry appliances, such as water heaters, and program them to restart in time to provide hot water in the evening. No matter how efficient your appliances are, you can save even more energy with this precise, instantaneous level of control. When your old appliances wear out, consider replacing them with newer, more eco-friendly models. 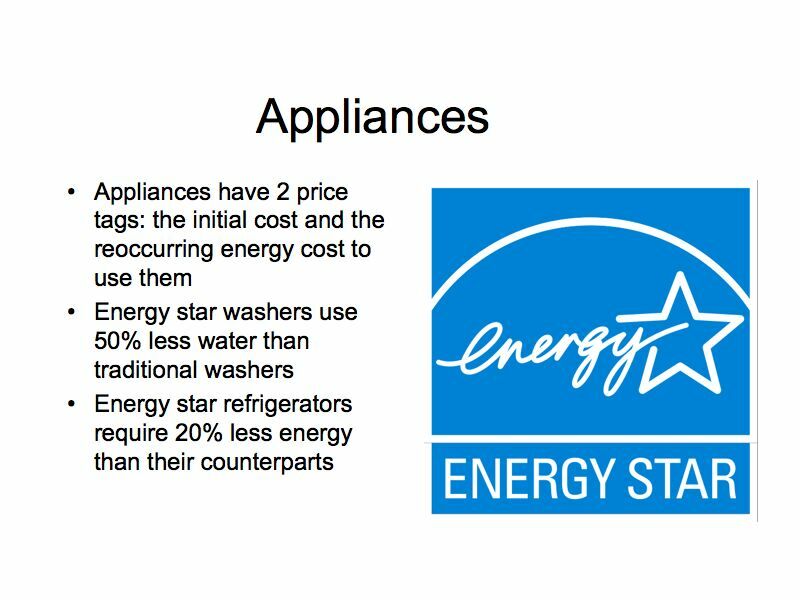 The first step to making an energy-conscious appliance purchase involves learning how efficiency is measured for that appliance. 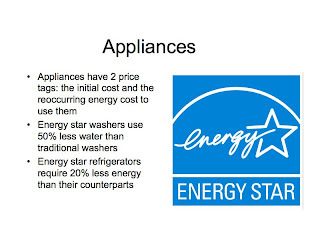 Knowing what an appliance's ratings mean can help you shop smarter and faster. Likewise, make sure you know what size appliance you need. Buying an air conditioner that's too small will lead to hot summers and a constantly running appliance. But a too-large air conditioner might not adequately remove humidity in your home and will waste energy when it's running [source: Energy Star]. Once you've found your new appliance, check to see if there are ways you can save energy through better installation. Can your water heater be moved to shorten the length of your hot water pipes? Are your air conditioning ducts properly sealed and insulated? Now is the time to address these issues and maximize your energy savings. New, efficient appliances aren't always cheap. But evaluating your needs and researching your options can help you strike a balance between price and performance that will improve your home's eco-friendliness, regardless of your budget.